From the moment you load up Ratchet and Clank you are smacked in the face with absolutely stunning and vibrant graphics. I instantly started smiling and continued to do so for that long I lost count of time. 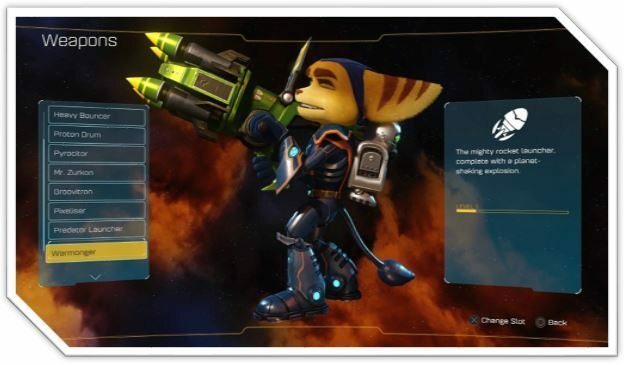 Ratchet and Clank follows on from the original story that we played through back in 2002, however this is not simply a remake/remaster, it’s an entirely new experience regardless of if you have played the original or not. Made from the ground up to showcase the power of the PlayStation 4, Ratchet and Clank exceeded all of my expectations which were already set very high based on the trailers I had watched on the lead up to release day. You are on a mission to save the Solana Galaxy from the evil bidding’s of Chairman Drek, which is narrated by the famous, courageous (debatable), and charismatic (not quite) Captain Qwark. All new bosses, gameplay, and flight sequences take you on a journey to give you a deeper look at the characters origin stories whilst experiencing new gameplay. There is an additional hours’ worth of new cinematics which includes footage from the movie that will be releasing later this year, and unlike many games when they transition from a cut-scene back into the game, you can’t see any transition in Ratchet and Clank. The game literally looks as good as the movie. These scenes contain very humorous dialogue which pokes a lot of fun at its self and really adds to the atmosphere of the game. There were countless occasions that I caught myself laughing out loud at the very subtle but effective jokes that were perfectly placed to keep you looking forward to the next cut-scene. Everything from the lighting through to the ripples in ponds is spot on point. I found myself stopping on several occasions just to inspect a certain object or piece of landscape due to how breathtakingly beautiful it is. The water is a perfect crystal clear shimmering mass that makes you want to jump in for a swim, it almost projects onto you a feeling of a warm spring’s afternoon sitting by the river when you are ‘standing’ next to it. The character models are perfect, even close up to the screen, with every hair on Ratchets head standing out, even down to being able to see reflections in his eyes. Visually this is the most stunning game I have ever played. You will catch yourself repeating over and over again just how beautiful this game is. As you progress through the game you play as both Ratchet and Clank whose controls are extremely intuitive and easy to master. Everything from the general movement system up to the weapons upgrades and piloting feel very smooth and polished. There is no adjustment time needed to get used to how to control your favorite heroes as everything is exactly where you would expect it to be. The focus that has been placed on making the controls as intuitive as possible means that you just aren’t thinking about them at all, you are able to get completely immersed into the game without snapping out to check button commands. The weapons upgrade system is really well thought out, encouraging you to try out all the various weapons available as each one upgrades to have its own set of very cool and wacky abilities. The weapons level up as you use them and you can choose how your weapon evolves by unlocking special perks and abilities through its own upgrade tree. All your favorite weapons make a return with new additions such as the ‘Groovitron’ and ‘Pixelizer’. These new weapons are an absolute hoot to use. The ‘Groovitron’ throws out a disco ball which instantly makes the bad guys stop attacking you and break out in a group disco dance session. I highly recommend picking that one up as it provides for endless laughs with different types of enemies having their own wacky dance routines. Even the tanks get into the action, which is a sight in itself! Throughout the various worlds you are always on the hunt for Gold Bolts, special cards and rewards for completing various tasks. As you would expect, some of these items take quite a bit of hunting down however they are never placed anywhere too difficult to locate if you take the time to look. You will come across items that just can’t be reached though, and this is due to you needing to progress further in other worlds to attain items such as magnetic boots or a jet pack. Once you have acquired these items you can return to said world and collect the remaining items. Returning to already vanquished worlds can be a little monotonous due to their being no bad guys left to conquer, however the scenery is so stunning you quickly forget about the lack of activity and get back to the hunt. When opening your card packs that you have collected from around the various planets you encounter the first thing that is not completely intuitive in this game. How the cards work, what they are for and how to trade them is not spelt out very well, it’s not exactly rocket science either, however it is noticeable due to the fact that everything else about this game is so self-explanatory that when you get to this stage and find yourself having to linger while you work it all out. Ratchet and Clank is the most fun I have had gaming in years. Simply put visually this game is jaw-dropping with how beautiful it is. 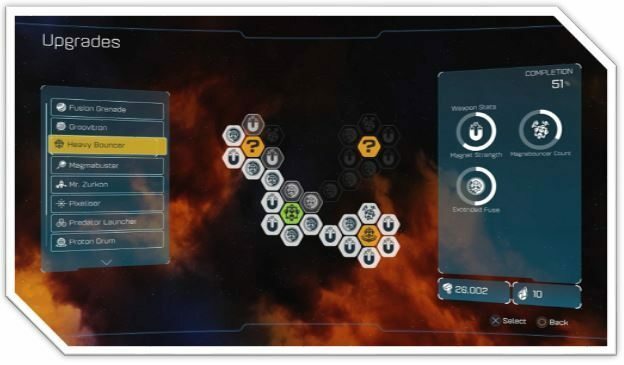 Replayability is high due to not only having three different difficulty levels to progress through, but also the ability to go back through and make different decisions about the order in which you will progress through the game, and of course, there is all those collectables to get your hands on. I recommend Ratchet and Clank to gamers of all ages. It’s the best $39.99 USD I have spent on a video game in many years. If you are looking for a good time, if you are looking to immerse yourself, if you are looking for value for money, Ratchet and Clank is definitely for you. Ratchet and Clank is the most fun I have had gaming in years. Simply put visually this game is jaw-dropping with how beautiful it is. Replayability is high due to not only having three different difficulty levels to progress through, but also the ability to go back through and make different decisions about the order in which you will progress through the game, and of course, there is all those collectables to get your hands on. I recommend Ratchet and Clank to gamers of all ages. It’s the best $39.99 USD I have spent on a video game in many years. If you are looking for a good time, if you are looking to immerse yourself, if you are looking for value for money, Ratchet and Clank is definitely for you. Next articleRockstar confirms GTA VI is on the way?